I have been doing a lot of purging lately. During this process, I've been sorting through all my assorted wedding related decor items and feeling really nostalgic. I wish I could go back to the days of being a fiance and dreaming about our wedding because this girl loves planning parties and especially loves weddings! Before all the wedding planning begins, there is the ring. I don't know about you ladies, but I still look at my ring every day and get butterflies! It's such an important symbol of the love you and your better half share. But I can imagine that buying the engagement ring has to be one of the most exciting and stressful things someone has to do. What cut? What style? And probably most stressful, how much to spend. Everyone knows that diamonds are big bucks. There are ways to save money and not break the bank fortunately. This week, Howard's Jewelry Center has their annual Million Dollar Diamond Event to help you get the ring of your dreams and still stay within your budget. The sale runs from June 17 - June 25 and they are even open on Sunday June 19th. You don't need to be a bride-to-be to want some bling. If you've been thinking of buying any type of diamonds, now is the time! Bracelets, earrings, pendants and more are all included in the sale. It's their incredible, once-a-year event where they bring in thousands of loose diamonds and have experts on hand to help you with your selection. 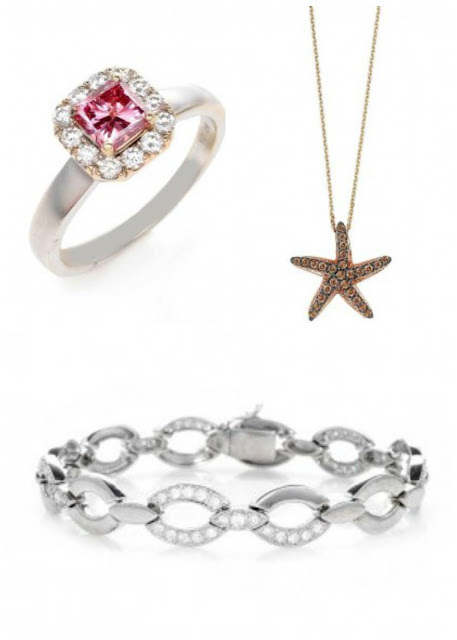 Find fancy colored diamonds, large stones, unusual cuts and styles for every taste. Special new collections from fab designers Caro, IBGoodman Bridal, Paramount, and Zeghani will all be featured, and their experts will be on hand to help you customize your ring or help you find the perfect piece for your style and budget. You come in there with ideas, and they will make it happen - no cookie cutter jewelry here! 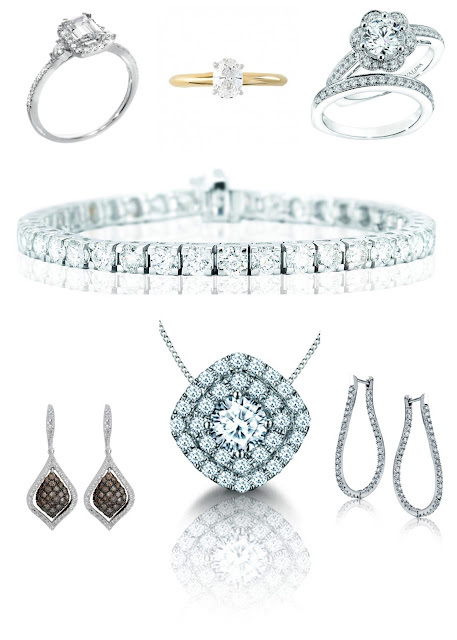 You work directly with a specialist to customize your own diamond jewelry piece - that way it's perfect for you. Each weekend, two of the four stores will have designers. Designer representatives will be in Maple Heights and Mayfield Heights June 17 and at Parma and Mentor on June 18. And even on non-weekend days, the designer tables will still be in the stores, so you can go in and talk to staff and customize your jewelry. Call stores for specific details and to find out the exact schedules for the designers. Why do I like Howard’s Jewelry Center? Howard's Jewelry Center has been in business for a long time. Howard himself has been in the jewelry business for over 40 years and knows everything jewelry—especially diamonds. They are a local small business the offers unique refurbished, renewed, one-of-a-kind pre-owned jewelry at 30-50% off. Everyone is GIA certified unlike a lot of the chain stores. And did I mention you can sell, trade-in or borrow against your jewelry for new items? The best part of all - negotiation is always welcome! You can #shoplocal, save money and be green at the same time. Yep. It's that easy to get your perfect bling. They have stores all over NE Ohio - in Mayfield Heights, Maple Heights, Parma Heights and at Great Lakes Mall in Mentor. Click here for the address and phone number for the store nearest you so you can stop in and get shopping. Before you go, check out Glam Karen's blog post for details on how you can enter to win a diamond necklace just for visiting one of the stores during this event. You can also follow Howard's on Facebook and Pinterest. *** Disclaimer: This post was sponsored by Howard's Jewelry Center. Cant wait - going to be an ahhhhhmazing event! I mean, diamonds. And more diamonds. And jewelry designers. And - the icing on the cake is being able to WIN a $400 diamond necklace just by writing "Glam Karen" on the entry form! How easy is that? ?